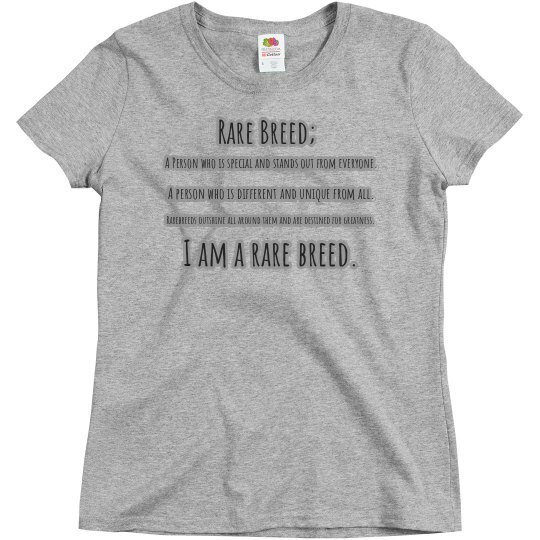 Custom Text Front: Rare Breed; | A person who is different and unique from all. | A Person who is special and stands out from everyone. | Rarebreeds outshine all around them and are destined for greatness. | I am a rare breed.